The PKI 9825 has been designed specifically for personnel involved in searching and clearing of mines and terrorist explosives devices. As a lightweight search suit, it fills the gap between our Bomb Protection Suit and conventional clothing in cases where maximum protection is not necessary or where greater freedom of movement is required. 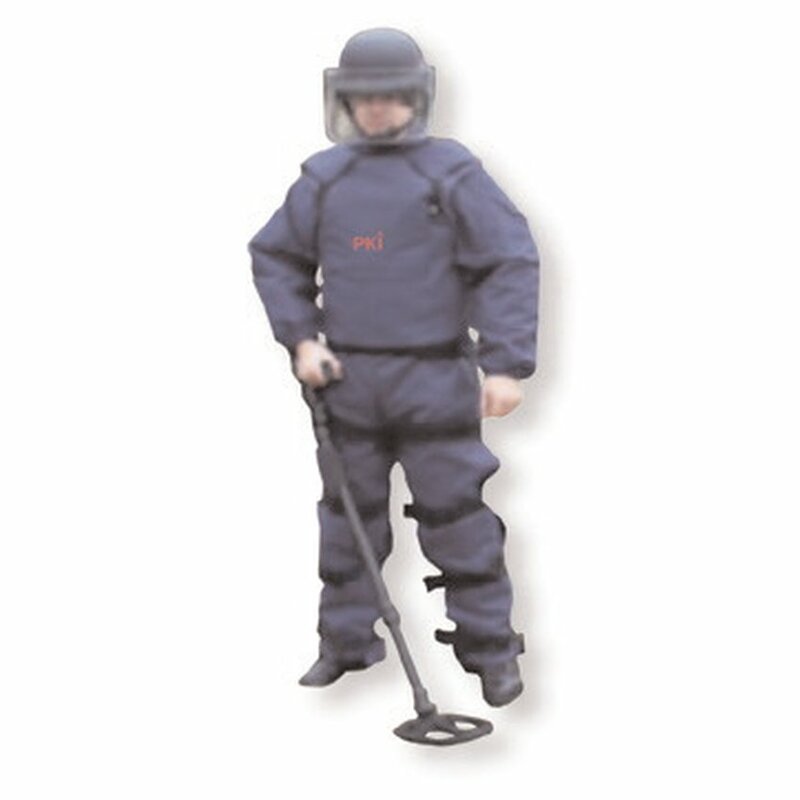 It is suitable for most EOD search projects, affording a high degree of ballistic protection whilst not encumbering the wearer unduly. The outer material of the PKI 9825 is constructed of fire-retardant NOMEX III and includes the latest KEVLAR fibres technology. A steel plate is available as an optional extra. Arms: Separate adjustable sleeves provide optimum movement. Jacket: Provides front, back, side, shoulder and neck protection, with addition of up-armouring pockets for inserting optional ceramic or armoured steel plates. Trousers: The unique design provides freedom of movement and optimum protection of the legs. Helmet & Visor: These, in conjunction with the search suit’s high collar, provide maximum protection.